It’s almost the end of the week, and welcome to another #MorningWithMeloni! 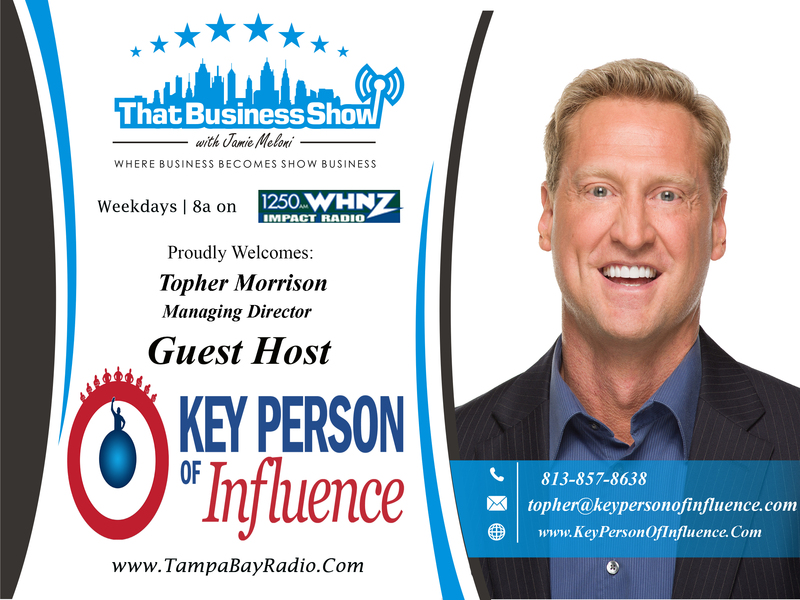 We ha d a great day here on #ThatBusinessShow with our hilarious Guest Host Topher Morrison. Starting the day off with a quote as usual, he inspires our guests to be outspoken and brave! As usual we had a great lineup of guests, starting with Dana Pepper, an accomplished Entrepreneur, Author and Speaker. We also had on United States Senatorial Candidate Augustus Invictus, currently the Managing Partner with Imperium, P.A. And Calling in last here on #ThatBusinessShow was Bruce Serbin, an award-winning media publicist working primarily with authors and entrepreneurs in a variety of fields, from financial services and the travel industry to attorneys, medical professional, business consultants, professional speakers, interior designers and everything in between. – and founder of Serbin Media. If you missed today’s episode of #ThatBusinessShow, you can head over to http://www.tampabayradio.com and on Jamie’s YouTube Channel at http://www.youtube.com/jamiemeloni. This special episode of #ThatBusinessShow was a bit wild, with the show taking many directions, which is always a fun time! Our first guest was Dana Pepper, an accomplished Entrepreneur, Author and Speaker. She’s traveled the country as a Spokesperson for Barbizon International, encouraging and inspiring young people to live up to their full potential. As an entrepreneur, Dana is lending her talents as the Director of Business Development for TalentLinc, a growing, full service Recruiting Firm in West Palm Beach. She scouts talented employees for her business owner clients, providing them the best employees possible. Dana and Topher had quite the discussion about TalentLinc, and about other off topic items such as civil rights and women’s organizations and how they help the community. You can learn more about Dana Pepper and TalentLinc West Palm Beach at http://www.danapepper.com! 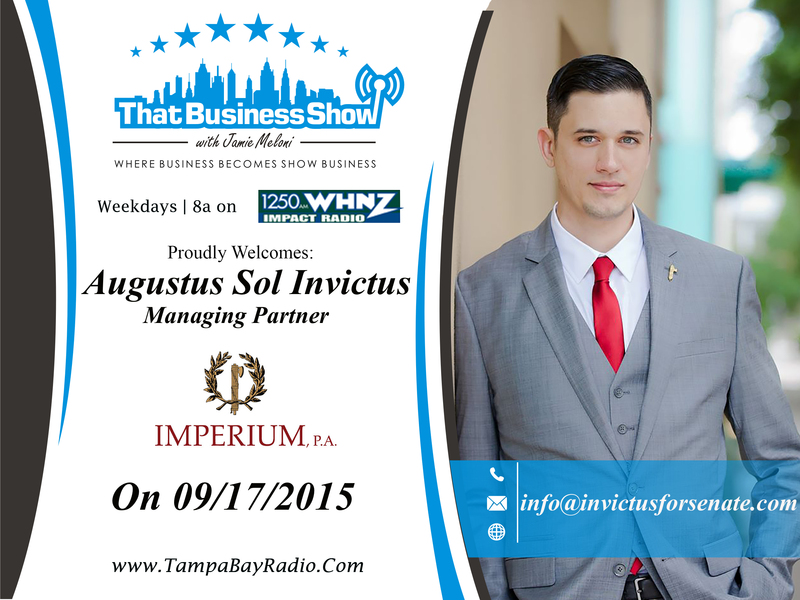 Joining us on the second segment of #ThatBusinessShow with Guest Host Topher Morrison was United States Senatorial Candidate Augustus Invictus, currently the Managing Partner with Imperium, P.A. Augustus Invictus is an attorney and community leader in Orlando, Florida. Best known as a radical philosopher and infamous social critic, he is Managing Partner of Imperium, P.A., the law firm he founded in 2013. On the show, Augustus discussed with us the things that he would do as Senator, and why our listeners should support him. Running with the Libertarian Party, he claims to represent the best interests of the people and of business owners. In fact, Augustus’ decision to enter into politics was based on his own experience in the War on Drugs as a pharmacy technician. When the Drug Enforcement Agency forced his pharmacy out of business, his family lost everything. He experienced first-hand the tyranny of the Government’s prohibition policies. “As a Senator, Augustus will seek to correct the evils of government – especially the extraordinary damage caused by prohibition and interventionism, both of which harm American interests.” You can learn more about Augustus Invictus and his political interests http://invictusforsenate.com/. 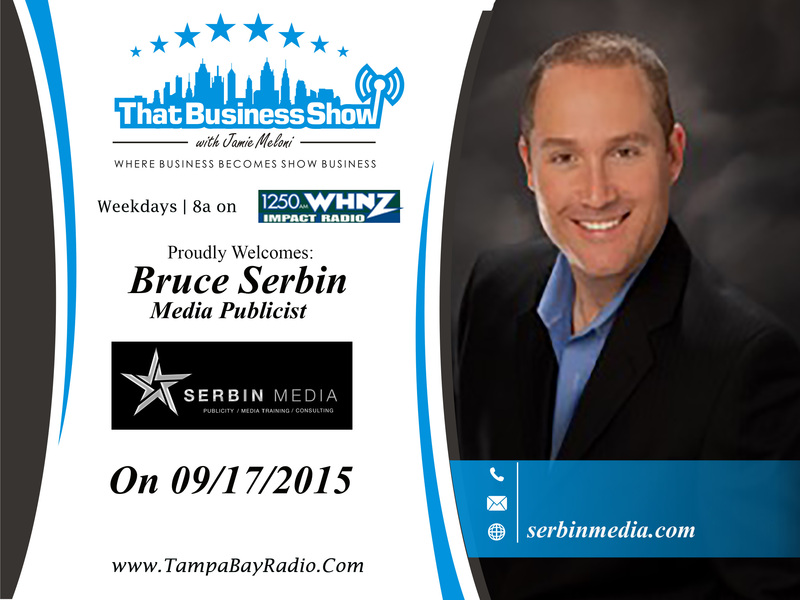 Joining us last on #ThatBusinessShow with Guest Host Topher Morrison was Bruce Serbin, Media Publicist with Serbin Media. Bruce Serbin is an award-winning media publicist working primarily with authors and entrepreneurs in a variety of fields, from financial services and the travel industry to attorneys, medical professional, business consultants, professional speakers, interior designers and everything in between. He utilizes this media experience to better serve the needs of his publicity clientele. Bruce is author and producer of “50,000 Fans: How Speakers”, and “Authors and Experts are Making Millions in The Media”. On the show, all four of our guests on the show began to exchange banter about social media, and began to discuss the Republican Presidential Candidate Debate that occurred last night, sharing their favorite moments. Our listeners also got to hear about what Bruce does and how Serbin Media does to help their clients get more exposure than they would on their own. To learn more, visit http://www.serbinmedia.com!